A friend asked about my training schedule for the half-marathon I'll be doing and I thought I would share it here in case anyone was curious. I found it on the internet and decided to use it because it worked with the training window I had and because I have established routes for all the weekday distances (which will make it easier for me mentally). 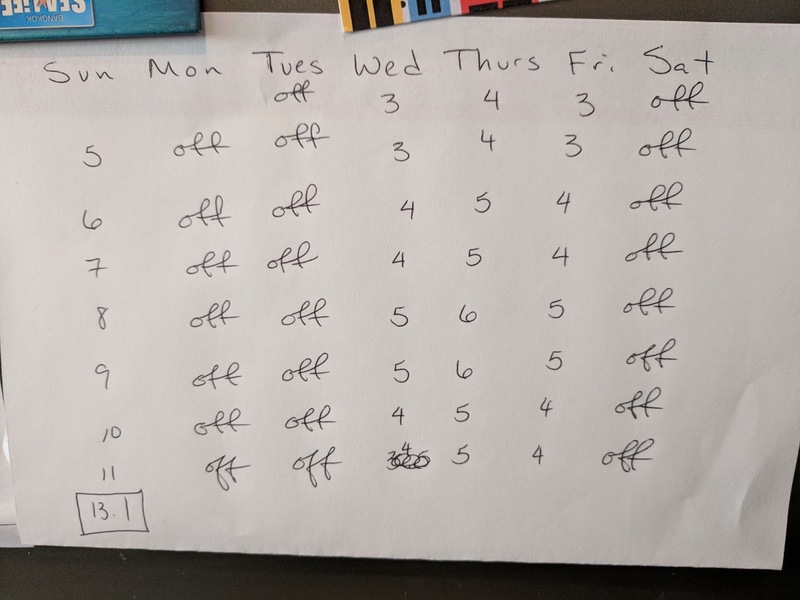 After I started, another friend told me that the best way to scale up your running is to add 1/3 of a mile to your short runs and 1 mile to your long runs each week and happily, it looks like this schedule does that. I'm only a little over a week into training and my favorite days are already Monday and Tuesday- the two days I have off in a row!